ReportGenerator converts XML reports generated by OpenCover, dotCover, Visual Studio, NCover or Cobertura into a readable report in various formats. The reports do not only show the coverage quota, but also include the source code and visualize which lines have been covered. Once you have setup unit tests and code coverage, you probably want to keep coverage rates as high as possible. ReportGenerator helps you to achive that. 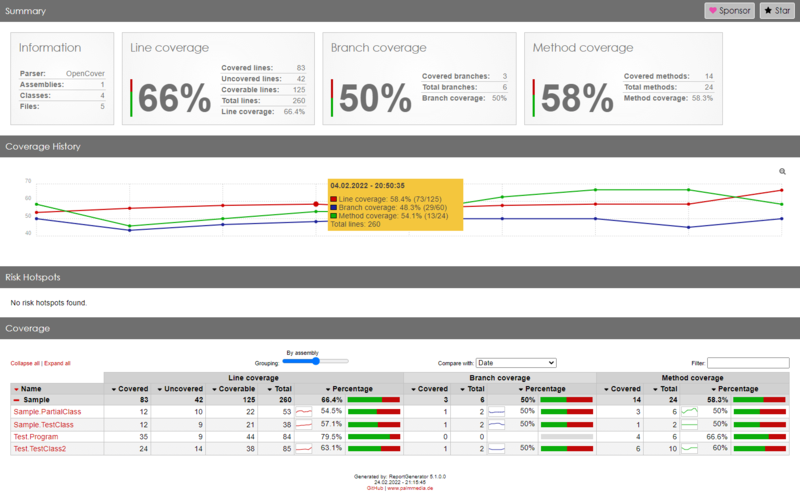 Charts for line and branch coverage are generated for each class helping you to track coverage evolution over time. ReportGenerator is a command line tool which only requires a few parameters. Integration into an existing build is very easy. 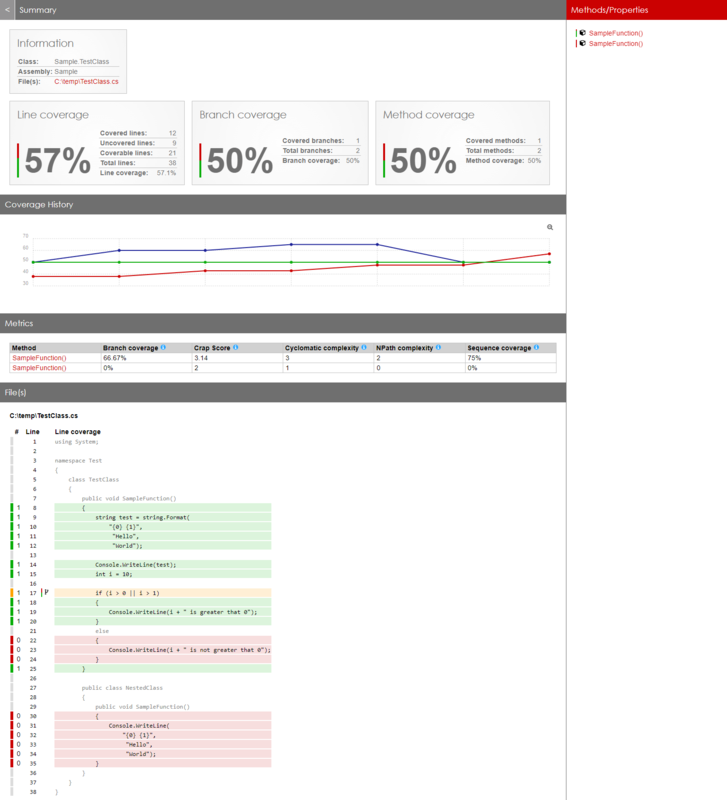 You only have to supply the path to your coverage report(s) and a target directory. If you are using MSBuild, you can also use an MSBuild task.